Community Initiatives for Visiting Immigrants in Confinement (CIVIC) is pleased that ICE has committed to facilitate access for community visitation programs for people isolated in immigration detention. ICE’s statement was made in response to CIVIC’s federal complaint filed on March 15th with the Office for Civil Rights & Civil Liberties within the Department of Homeland Security detailing access denials and restrictions in violation of federal policy at 14 immigration detention facilities in Arizona, California, Virginia, Florida, Georgia, Pennsylvania, and Texas. CIVIC submitted this complaint in addition to a letter signed by 441 organizations and individuals urging ICE to uphold its commitments to transparency and public access to the detention system. Within 24 hours, acting ICE Director Thomas Homan responded, indicating that “ICE appreciates the work of CIVIC and other community-based visitation programs” and ICE has a “strong desire” to continue to facilitate our access to immigration detention facilities. Homan promised to send CIVIC and those who co-signed the letter a response after further review of our complaint. We believe that this prompt response is a sign that ICE is unable to ignore the widespread concerns over restricted access to immigration detention facilities, which has received coverage in publications including traditionally conservative outlets such as the Washington Times. We hope to see ICE back up this commitment by enforcing the Stakeholder Access Directive, ICE’s PBNDS on Visitation, and ensuring that visitation programs and family members are allowed continued access at all U.S. immigration detention facilities. As detailed in CIVIC’s complaint, community visitation programs have faced unwarranted restricted access to immigration detention facilities in recent months. 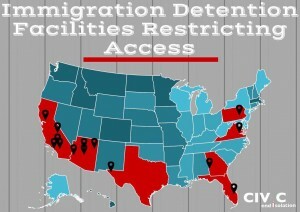 As Christina Fialho, CIVIC’s co-founder/executive director, notes in a Huffington Post article about the complaint, holding immigration detention facilities accountable requires that the public continue to have access to them. With a record number of immigrants being detained under the Trump Administration, it is now more critical than ever that family and community members are not faced with restrictions when visiting people in immigration detention. While ICE’s response is a welcome development, CIVIC will remain vigilant to ensure that ICE lives up to its commitments and that visitation programs can operate without undue restrictions. 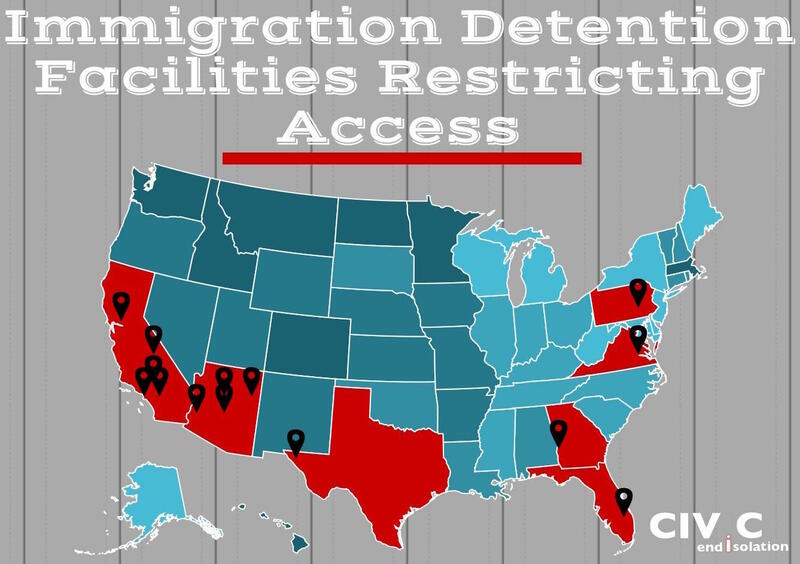 CIVIC is the national immigration detention visitation network, which is working to end U.S. immigration detention by monitoring human rights abuses, elevating stories, building community-based alternatives to detention, and advocating for system change. Join the movement at www.endisolation.org. This entry was posted in Uncategorized and tagged complaint, immigration detention, visitation by CIVIC Legal Guide. Bookmark the permalink.